The plan for Day 3 was to drive down to the Basaseachi Falls. This did not happen. The issue was the road that looked to be a “secondary” road as marked on our “Mexico: Sonora & Chihuahua” Map from Matachic (about 110mi due south of Nuevo Casa Grande on MEX37 or CHIH23) to MEX16 (about 30mi SSW of Matachic) turned out to be a disappearingly small dirt track. This was the beginning of trusting the MotionX road map we downloaded at home since it did not show this road. The first half of this dirt road from Matachic was a fast, well-graded dirt road and a really pretty drive. It was pretty high country, about 6000ft? A moderate amount of pines existed. It kind of looked like the Eastern Sierra Nevadas with older, less jagged rocks. When we got to a small town about 12mi in, it was readily apparent that the second half of this road would not go as quickly as the first half. First of all, we took the wrong track out of the small town. Looking back, the track was used by the local ranchers. Again, it was an awesome drive: a steep several hundred feet climb to a ridge top followed by a gradual descent to a river valley, and a river crossing. We think the river was the Rio Papigochic or the Sirupa? 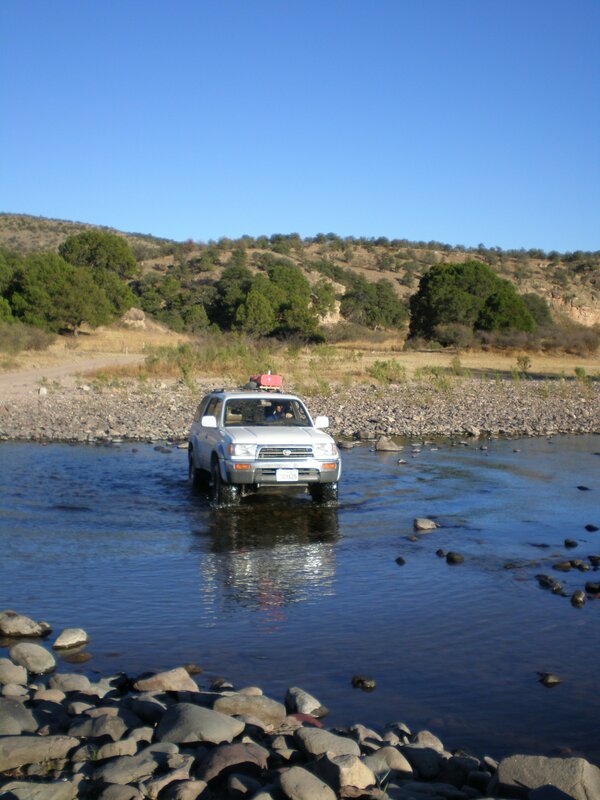 Relatively speaking, this would turn out to be our most difficult crossing (it was by no means difficult though). The depth was not much more than a foot and a half. This was the first of only four times I locked my diffs. This action was likely not required. I did so since the river bottom and ascent out of the riverbed was loose, fist-sized rocks. Soon after this point, we decided we were indeed on the wrong track and began to retrace our tracks back to Matachic. In retrospect, since we lost hours of daylight to this “wrong turn” and it was twilight, we should have just found a spot off the main road to make camp. But, at this point of the trip we were more worried about boondocking in remote locations. (More on our rethinking later). 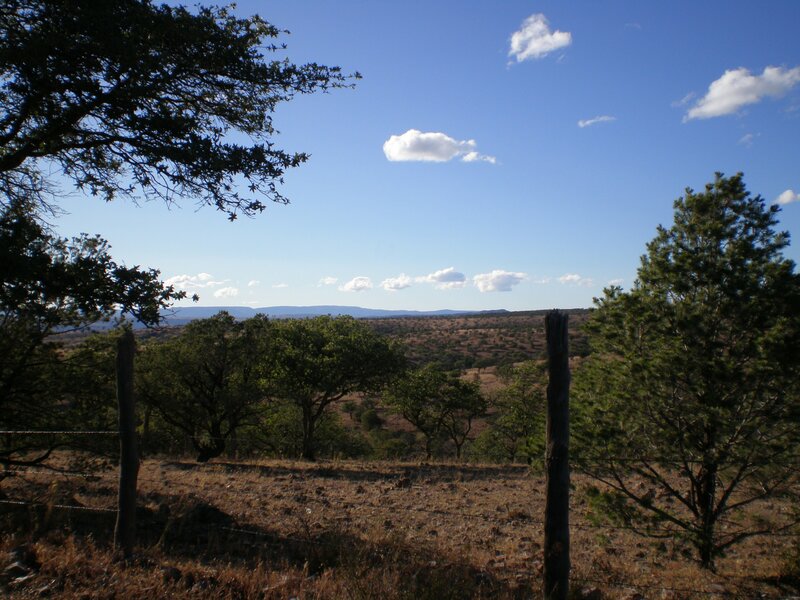 This was due to advice on other forums and from other people we spoke to directly to that we could end up in drug growing areas that were all over the Copper Canyon system. As it turned out, we ended up finding a hotel around 8pm in La Junta about 30 miles West of Cuauhtemoc which is about 50 miles West of city of Chihuahua. The hotel was pretty new, clean, and basic. It was called Victor Inn (550MXN or ~40USD). This was our second, but thankfully last, night of driving. Oh, and what was that creaking noise from the right front of the LX450 that we heard back on the non-graded dirt road?